WAX OFF - SENSHA CO., LTD. 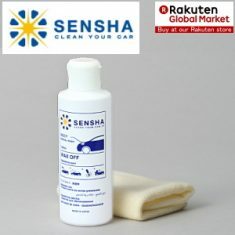 Simple two steps to remove wax and oil contents. 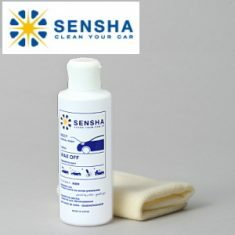 Wax Off is to remove wax and oil contents on surfaces before coating. 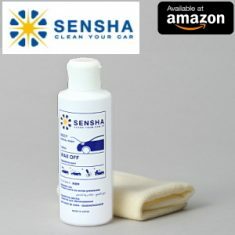 When you conduct coatings on parts (body, wheels, windows and all the others), you must clean up the parts including removing wax and oil contents before coating works. 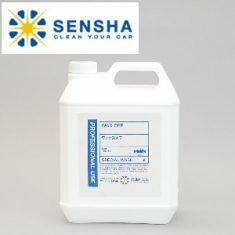 If a coat is done on surfaces with wax and oil contents, the coating surface cannot demonstrate its performances and also cause the coating unevenness. 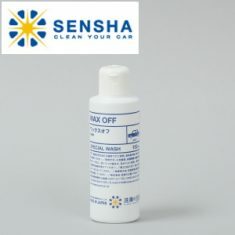 Wax Off can assist coating jobs to be done perfectly. An application is simple; allow the liquid to soak into the attached cloth and gently wipe surfaces with it. 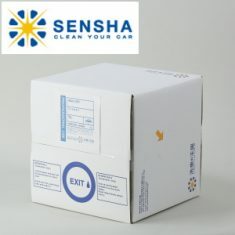 It is easy for everyone to remove wax and oil contents before coating applications. Developed not to compromise the quality of degreasing agents used by professionals. Degreasing agents used in professional shops are quite hard to use properly so that adequate professionalism and experiences are required. Also mistakes made with those degreasing agents cause a loss of gloss and stains on surfaces. Wax Off does not compromise the quality of a degreasing agent and is made easy for anyone to use and obtain the same finishing without a loss of gloss and stains on surfaces. An application is quite simple and easy. 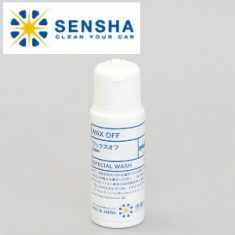 With Wax Off, you will have the even superior glass coating effects on your car to captivate people by your car beauty.